The Patagonian Mara is a large, unusual looking species of rodent, with long hare-like ears and a body resembling that of a small deer. The Mara has long powerful hind legs, which give it the ability to rapidly escape from predators; Maras are able to reach speeds of 45km per hour. The front legs are shorter, with four sharp claws that help the species to dig burrows. The Patagonian Mara forages on grasses or shrubs and may spend long periods basking in the sun during the day. By night, it finds shelter in a burrow or amongst dense vegetation. A male and female will form a lifelong pair. Females give birth to an average litter size of two young after a gestation period of 90 days. The young are born well-developed, with their eyes already open. They remain in a communal burrow until they are four months old and are visited daily by their parents. Adult breeding pairs take it in turns to visit the burrow. The female makes a shrill call, which brings all the infant Maras out from the burrow to the surface. After identifying her own offspring by smell, she leads them a short distance away from the burrow to suckle. 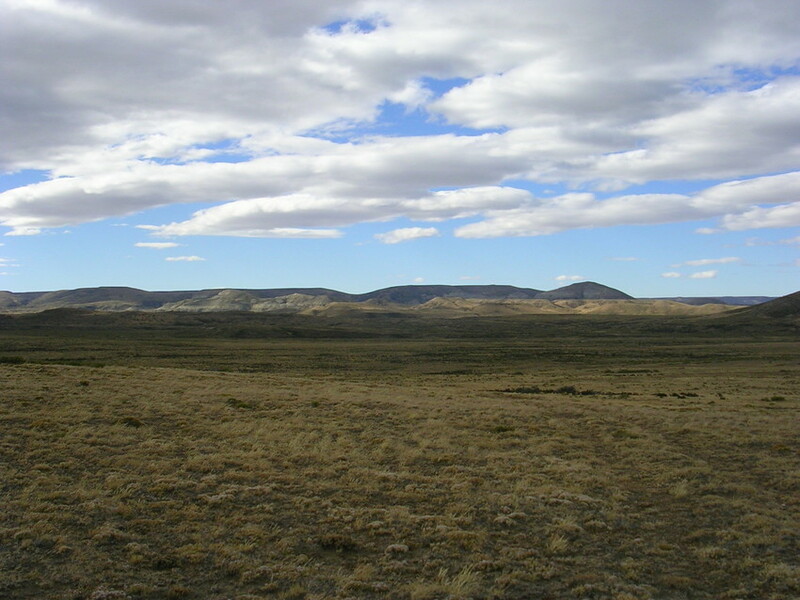 The species occurs in lowland habitats of Argentina, preferring habitats with shrub cover. There are two different subspecies, each occupying different provinces. 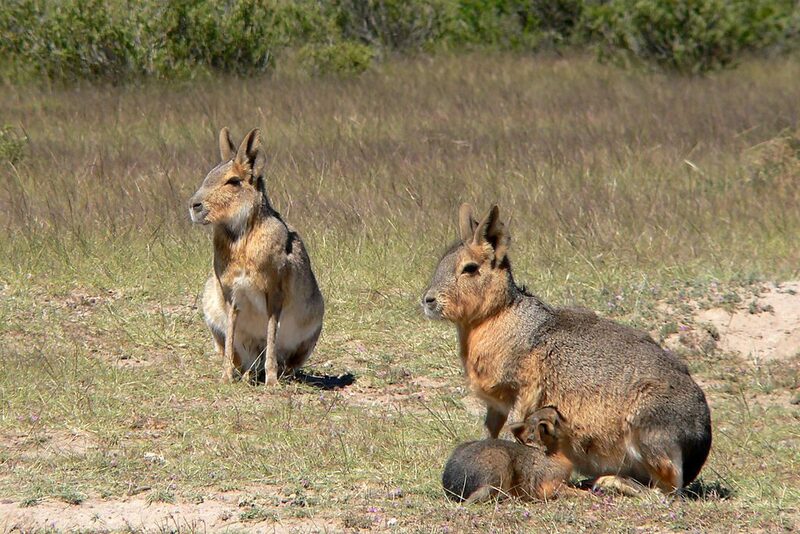 Population numbers of Patagonian Mara are rapidly declining, largely as a result of habitat loss, hunting and competition with introduced herbivores such as sheep and the European hare.